Seemingly alive, Atlantis’ shimmering light creates a vibrant source of energy. 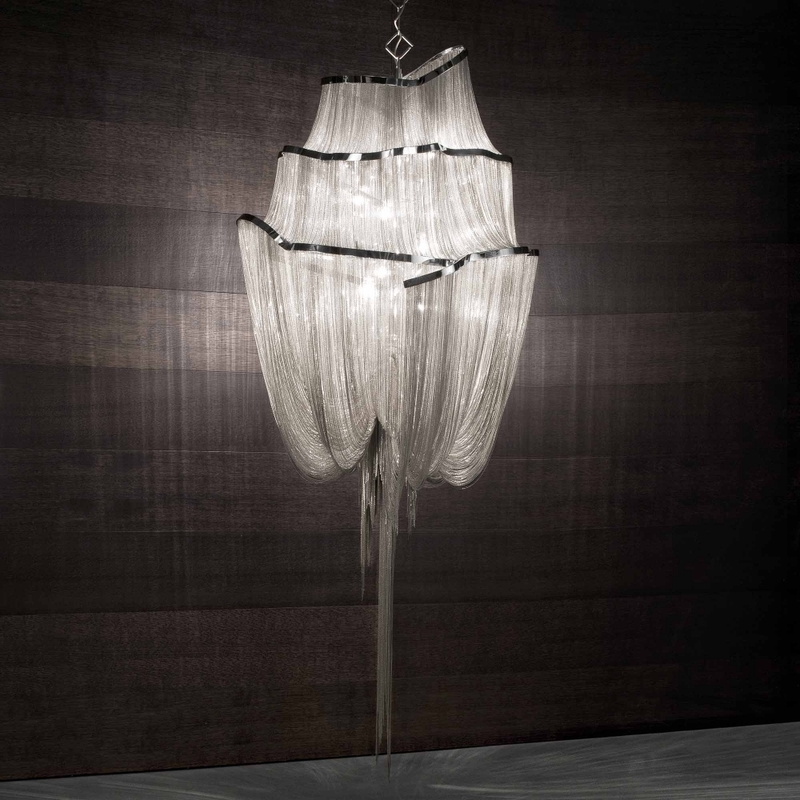 Its mesmerizing, organic effect is created by hundreds of illuminated lengths of draped, nickel chain. Like water in the ocean, Atlantis’ chains appear liquid, cascading over its gloss nickel bands and falling down towards the abyss before turning back into itself. Atlantis is composed of almost three miles of chain, meticulously hand-crafted by master Italian artisans. Designed by Barlas Baylar.